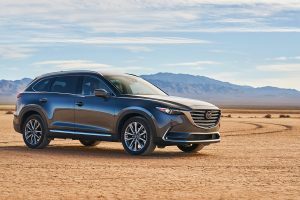 Mazda’s flag ship, the 7 Passenger Mazda CX-9, earns TOP SAFETY PICK PLUS status from IIHS (Insurance Institute for Highway Safety). Loaded with safety features, the Mazda CX-9 employs SKYACTIV® Technology which reduces weight while making the chassis up to 13% stronger and adding to the safety. 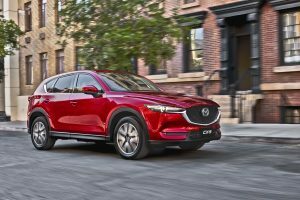 Hailing Mazda’s smooth ride, higher level of comfort and quiet cabin, the Mazda CX-5 “works well for families on the go,” Edmunds and Parenting Magazine names the 2017 Mazda CX-5 “Best Mid-size Crossover. Driver and passengers stay well connected with standard voice-activated Bluetooth Audio and phone feature while having the ability to access vehicle settings allowing drivers to personalize the Mazda CX-5 to their lifestyles. Standard G-Vectoring makes the Mazda CX-5 transition into corners smoother providing a more luxurious drive than any other vehicle in the Mid-size Crossover class.